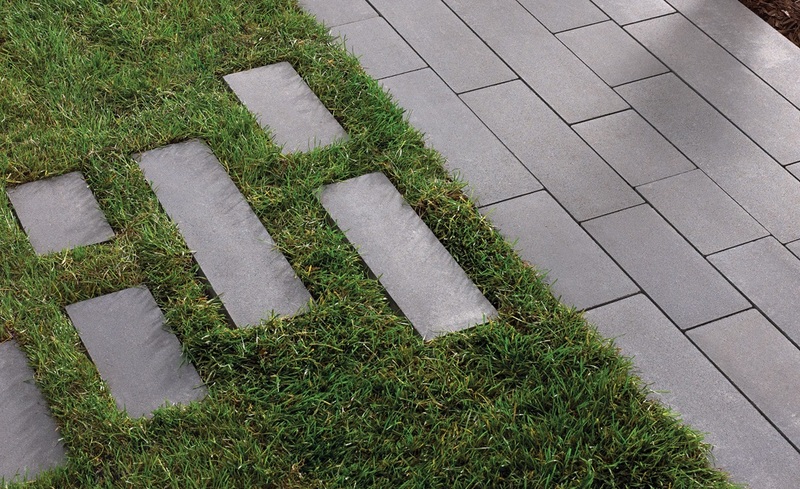 Thinking about adding concrete pavers to your home this year? Not only are pavers a strong and durable choice for driveways, patios and walkways — they also come in a variety of shapes and sizes to match any landscape or architectural style. Our in-house paver expert, Gene Karjala, shares his advice on choosing a paver to fit your personal style. Sleek and modern pavers like the Rinn™ Padio™ 14 paving system feature long, rectangular units — often called “planks.” This look is ideal for contemporary architecture or mid-century homes. Bonus tip from Gene: If you like a modern look with added style, check out other Rinn paving systems, which feature multiple sizes. If you love to stroll through charming towns with cobblestone streets lined with Tudor and Victorian houses, Gene recommends a traditional choice such as the Kingston Plus™ or Kingston™ paving systems, which offer multiple sizes and a classic cobblestone appearance. Holland pavers are rectangular and are also traditional in appearance, but can be installed in many patterns for different looks. 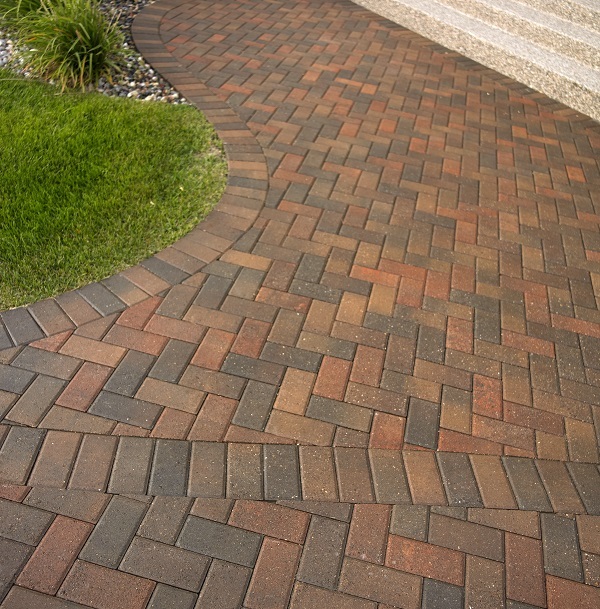 The process of tumbling pavers gives the product a time-worn appearance but without losing any durability. A perfect choice for a rustic, natural look is the tumbled Charleston™ paving system. For the look of quarried stone, Gene recommends the Slaton Plus™ or Slaton Plus™ tumbled paving systems. These are a lovely choice for natural landscapes featuring grasses, boulders and native plants. If you’re designing a landscape with sustainability in mind, permeable pavers are an excellent choice. Anchor Block Company offers several styles of permeable pavers, which reduce storm water run-off by allowing the water to gradually filter back into the soil and control and stabilize soil erosion. Once you’ve found a style of pavers to enhance your landscape, check out our What’s Your Retaining Wall Style? post to find an Anchor™ wall system that completes your plan. This entry was posted in Ecoscaping, Hot Trends, Pavers and tagged Charleston, Holland, Holland Permeable, Kingston Plus, Padio 14, Slaton Plus by Anchor Block Company. Bookmark the permalink.